Happy Monday, everyone!! 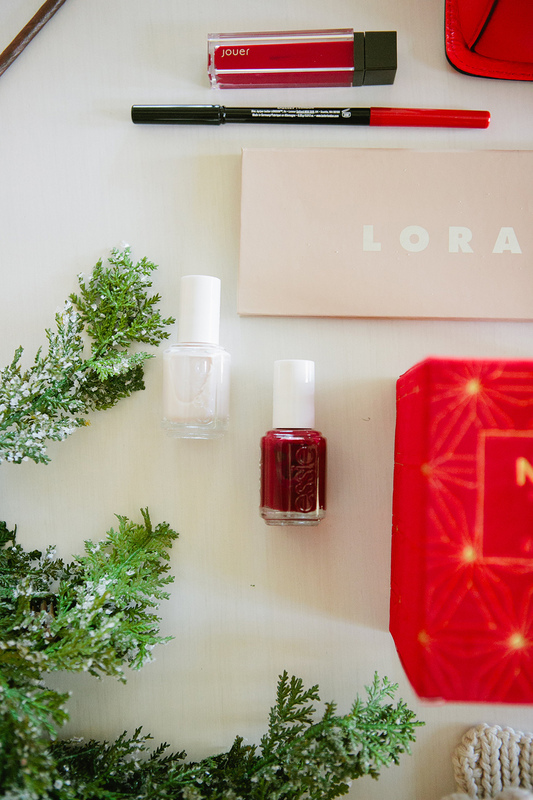 I can’t believe how fast Christmas is sneaking up on us and what’s the holiday without some gift giving? I’m so excited to be teaming up with Amazon’s Style Code Live today. I filmed a step-by-step beauty tutorial on how to get the perfect holiday makeup look featuring some of my favorite holiday gifts. 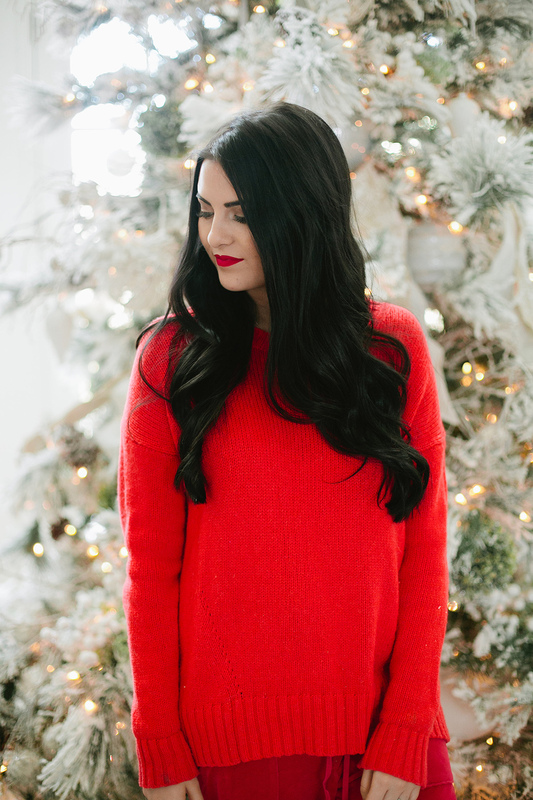 The look is so festive and easy to do! Click here to watch the video now and shop some of my favorites all available on Amazon.com. 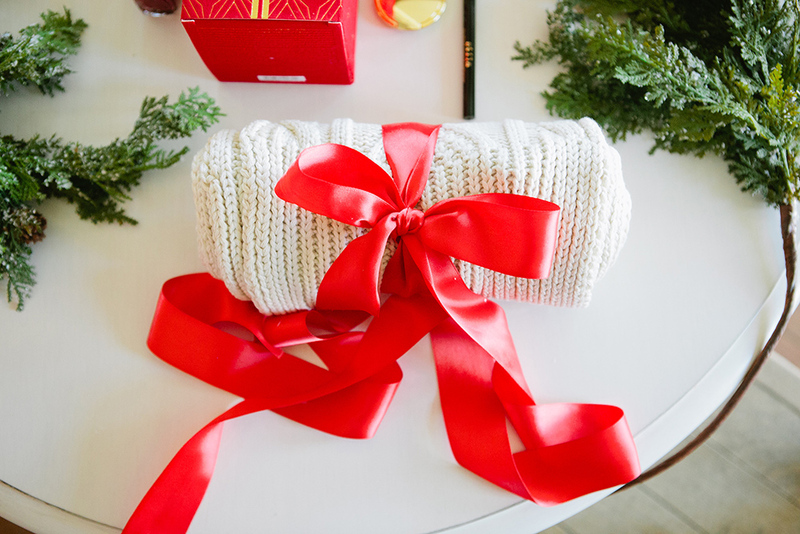 Plus, one lucky reader will win ALL of the items on my gift guide by simply subscribing to Amazon’s newsletter. Style Code Live will be annoucing the winners so make sure to follow along on their social channels to find out! Good luck!! I love your style code live vids! All these pieces look amazing, so I will definitely be tuning in for some last minute gift ideas! 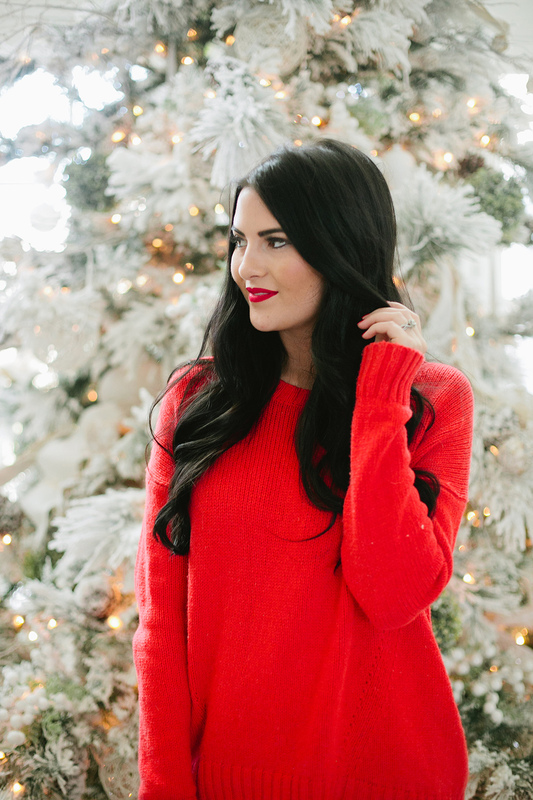 I love this beauty look – that red lipstick shade is so perfect for the holidays. I love how bright it is! So gorgeous in red, Rach!! Love this bold red lip! Loving this bold red lip! I love all your picks! Can’t believe Christmas is almost here, either. I love the video and the red lip. Where is your sweater from? I love the bright red color. You look so good in red and with red lipstick on. I love the contrast of your hair with the red. 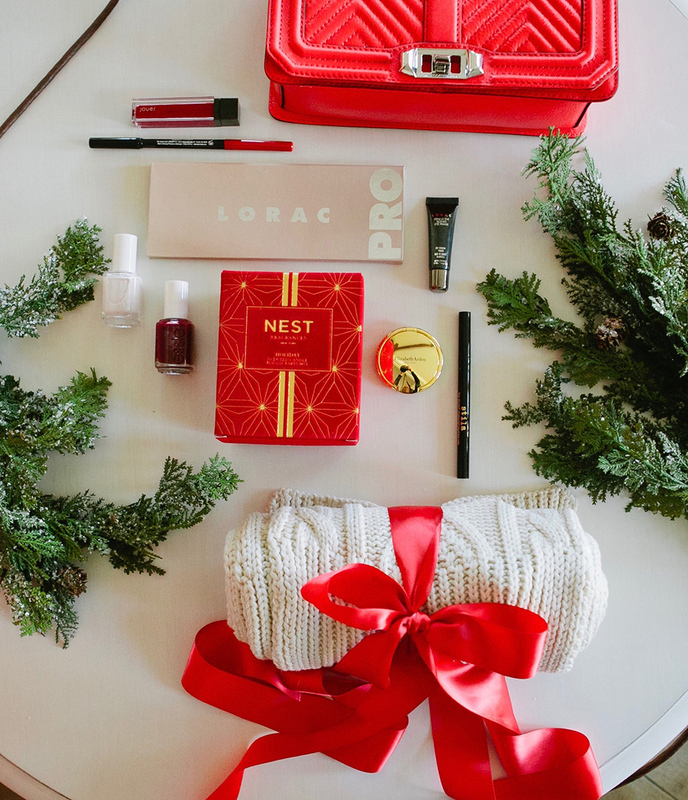 The nest holiday candle is my favorite! It smells amazing! Such a gorgeous makeup look – I’m a fan of any red lipstick! :) You look stunning and the eye make-up look is so pretty too! Me encanta mezclar el blanco y el rojo en esta época, Que espectacular. Such great gift ideas for my friends. Thanks so much for sharing and happy holidays! Cute video. I love the red lip – I always worry about it smudging too! I’ll have to try the Jouer lipstick! What a great list that you put together. I am currently wearing that essie polish right now, LOVE it! Thanks for sharing the video. i subscribed!! crossing my fingers to win. Red is totally your colour! That jumper and lipstick are stunning on you!